"I want to play on for as long as I can" BulldogsTV spoke to Dale Morris as he puts pen to paper on a one-year contract extension. Morris, who turns 36 in December, will enter his 15th season at VU Whitten Oval, after being taken at pick 19 in the 2004 Rookie Draft. 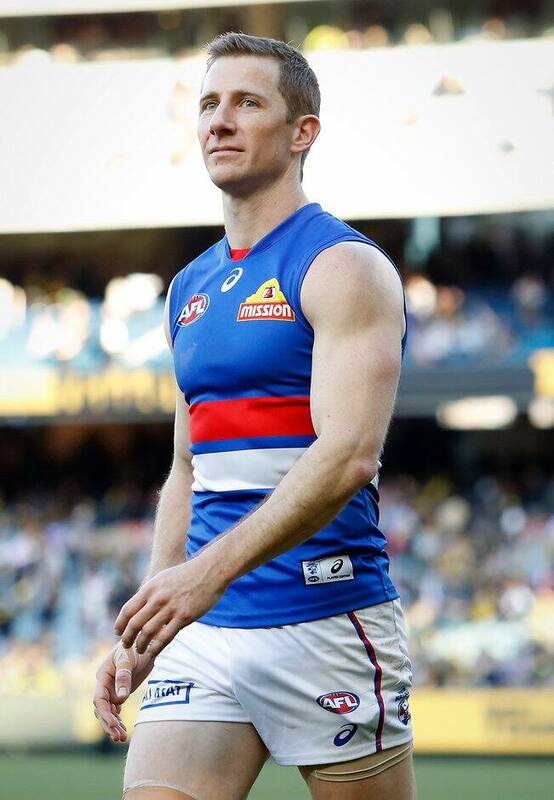 Western Bulldogs veteran defender Dale Morris will play on in 2019 after putting pen to paper on a one-year contract extension. “I’m one of the lucky ones that gets to play footy for a living, so to be able to do that again for another year at least, is something I’m really excited about,” Morris said. “There’s a lot in the decision to play on, especially at 35. There’s a lot in the physical side of things. Not only can you play a whole season, but get through another pre-season. They’re long and they’re tough. “It’s also the mental side of things. Footy is very demanding, physically and mentally. It’s not a decision I make on my own - I talk to my wife and my kids. “I want to play on for as long as I can. I love this job, I love this club, I love what I do. Morris has built a career on selflessness, courage and resilience, having overcome several serious injuries. He suffered a partial tear of his ACL on the eve of the 2018 season, but returned to play a key role in the Club’s late-season resurgence, including playing his 250th game in Round 21. “Everyone at the Club is delighted that Dale will play on for another season,” said Bulldogs General Manager of List and Recruiting, Sam Power. “The leadership and experience Dale brings to our playing group is invaluable, and he is an incredibly positive influence on and off the field. “He has also had a huge impact on our young defenders, imparting his knowledge and fast-tracking their development.